As part of the Wal-Mart Combo I purchased last month I also received 5 packs each of the 2015 Topps Series 1 and Update cards. 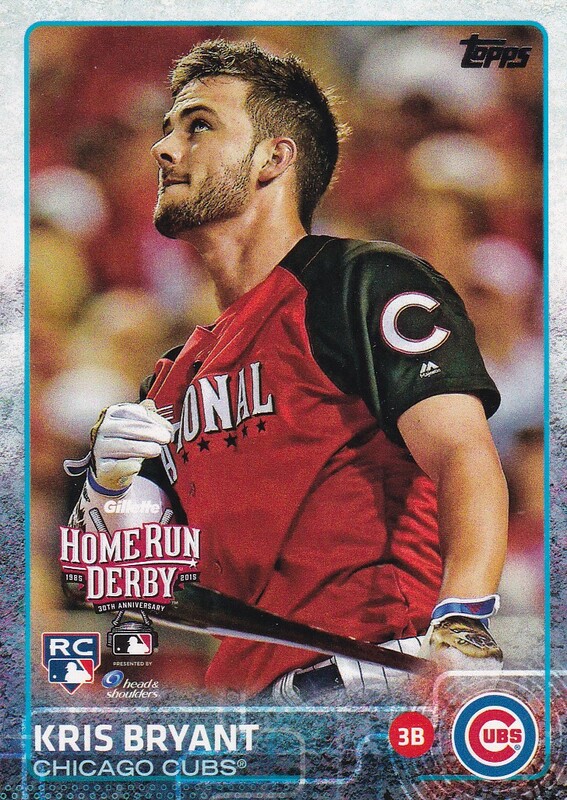 2015 Topps is one of my favorites. I really liked the design and colors incorporated here. My pull netted me stud and new St. Louis Cardinal Paul Goldshmidt. The rest of my pull wasn't bad netting me MadBum, Aroldis Chapman and a great Yordano Ventura photo. It's also fun looking back at those league leaders cards to see who were atop the stat categories. Amazing how many times I catch myself saying...oh yeah...that guy. The Update series gives me my all-star cards which is always fun. Kris Bryant and Nolan Arenado highlight those offerings. Bryant's National League jersey is pretty cool. I like the colors. A Noah Syndegaard card was a great surprise. I didn't realize his RC was a part of this set. Trevor Rosenthal's card rated a group photo. Those out of the normal cards help keep things fun. All of the Wal-Mart Combo posts I've put up so far can be found here. You pulled another Pujols card that I will have to track down for my player collection. The Angels at bottom of post is awesome! 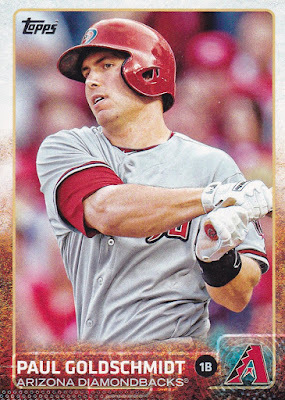 I like the Angels card as well probably more due to Trout's appearance. I hold on to some of these Pujols cards for you. 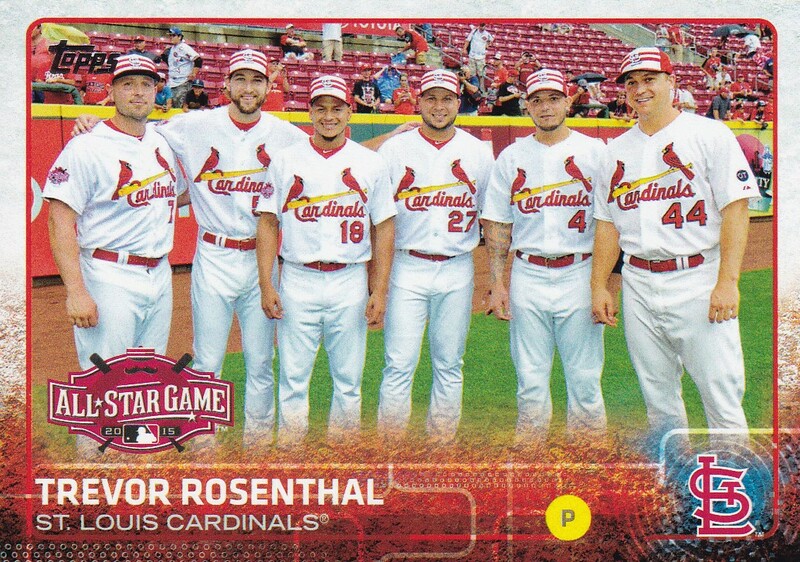 Can any non-Cardinals fan figure out which one is Trevor? I see Yadi, but can't tell who else is who..
Good call! I live near St. Louis and you are right. Only Cards fans would know. 2015 Topps is my favorite Topps base card design of the last decade. Great looking set.